The European Parent Teacher Association was founded in 1958 as the European Congress of American Parents Teachers and Students (ECAPTS), and is a state-level affiliate of the National Parent Teacher Association. In 2018, we will celebrate our 60th year as a voice for children in the European military community and beyond. EPTA provides strong leadership support to our local PTA units; works in cooperation with DoDEA and DoDEA-Europe at all levels; and advocates on behalf of our military children and for all children. The work of the European Parent Teacher Association continues to be instrumental to enhancing the quality of life for our military children overseas. Along with National PTA, our aim is to help make every child's potential a reality. 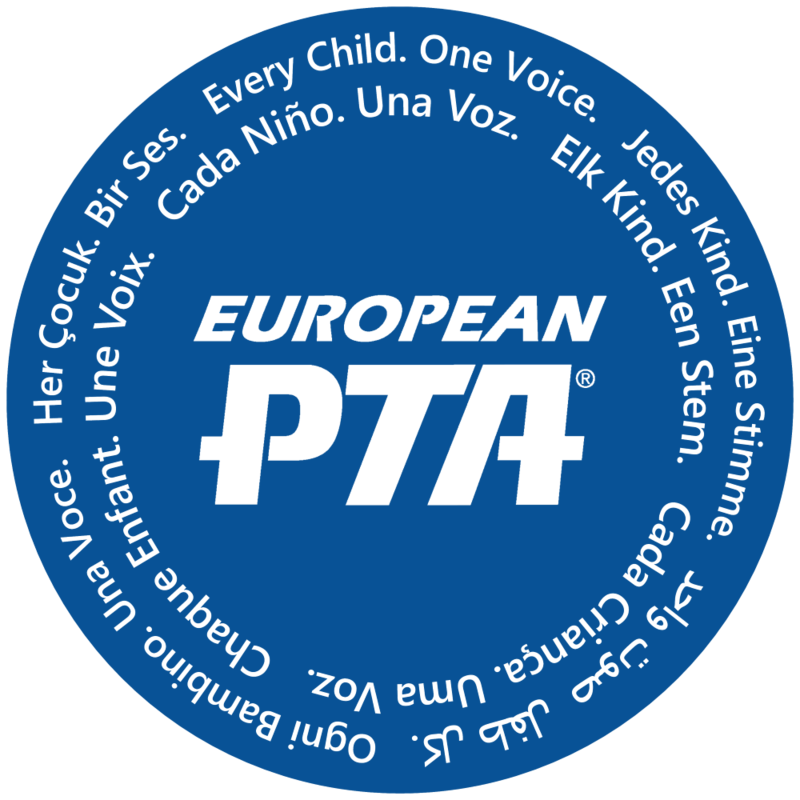 European PTA is a private organization. It is not affiliated with the U.S. Department of Defense or any of its components, and it has no government status. Our dedicated EPTA volunteers and staff are ready to help, and we'd love to hear from you, so please send us a message via the contact form below. You can also email European PTA directly at EuropeanPTA@gmail.com or reach our office by phone at +49 162 531 9491. Please enter your message for European PTA in the field below.